Puffy eyes occur when the thin, sensitive skin around the eyes swell. Numerous factors can contribute to this swelling including allergies, crying, sleeping, excessive alcohol or sodium, fluid retention, genetics or even a hormonal shift. Unless genes are the cause of your puffy eyes, the condition is usually temporary and can be alleviated by a variety of natural remedies. However, you should call a doctor if the puffiness around your eyes is accompanied by blurry vision or persistent pain and discomfort. According to DailyGlow.com eating salty food can contribute to puffiness around the eyes. High sodium foods make you retain fluid, which can collect under the eyes. To reduce puffy eyes, avoid processed and prepared foods, including canned soups, vegetables and spaghetti sauce. 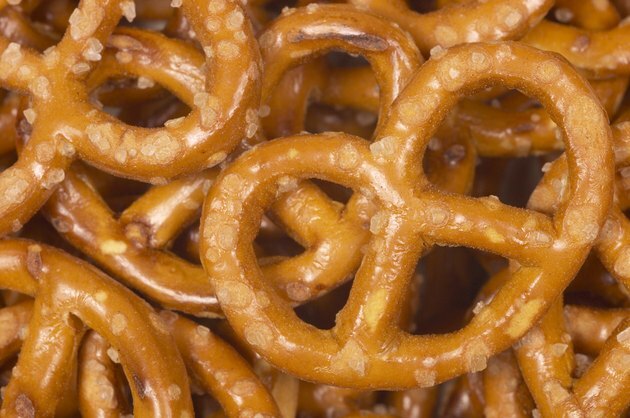 Also avoid snacks such as salted nuts or pretzels. Placing cool cucumber slices on your eyes is a classic way of reducing eye puffiness.While no scientific study has confirmed the particular effectiveness of cucumbers in reducing eye puffiness, anecdotal evidence abounds. Cucumber is a standard ingredient in many eye creams. 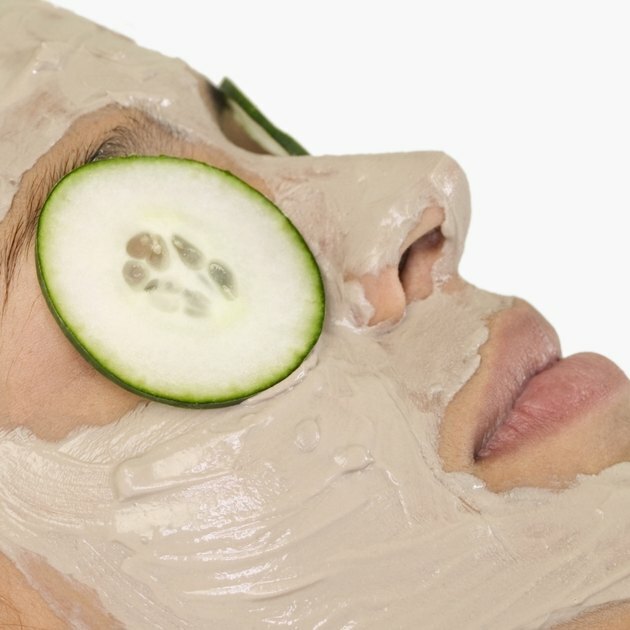 RealSimple.com recommends putting cucumber slices in the freezer for a few minutes and putting them on your eyes for 10 minutes. HealthGuidance.com offers another cucumber technique. It suggests grating a small cucumber, mixing the pulp with a cup of basil tea, and freezing the concoction in an ice cube tray. Once the mixture is frozen, dab the cucumber-basil ice cube directly on your eyes for several seconds at a time until puffiness decreases. You can make your own basil tea by steeping a 1/4 cup of fresh basil leaves in a cup of boiling water. Because the area around the eyes is filled with blood vessels, placing a cold compress on the eyes can constrict swollen vessels and reduce puffiness. 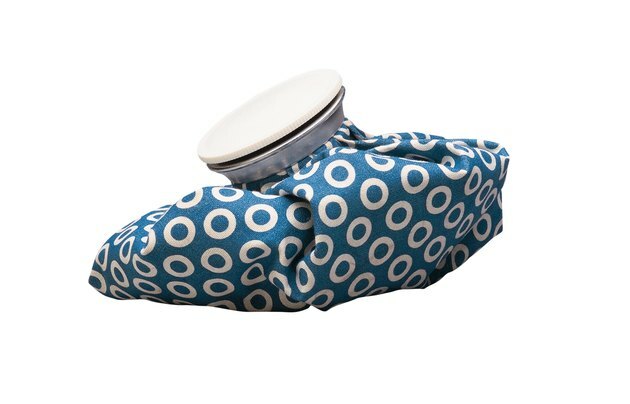 RealSimple.com recommends soaking a wash cloth in cold chamomile tea. Apply this cool washcloth to the eyes for 10 minutes. The anti-inflammatory properties of chamomile help to reduce swelling around the eyes. Eyehealthweb.com suggests making a compress of teabags that have been moistened and chilled. Simply put wet teabags in the refrigerator for a few minutes and place them over your eyes for 10 minutes. Sleeping horizontally causes fluid to collect beneath the eyes, which is why we often wake up with puffy eyes. To reduce fluids from gathering in the eye area, Elle.com suggests propping up your head with an extra pillow or two so that your head is slightly elevated throughout the night.